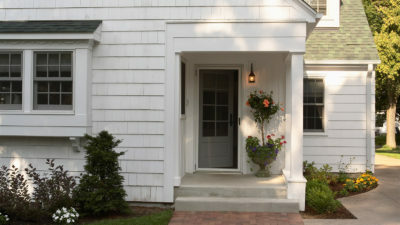 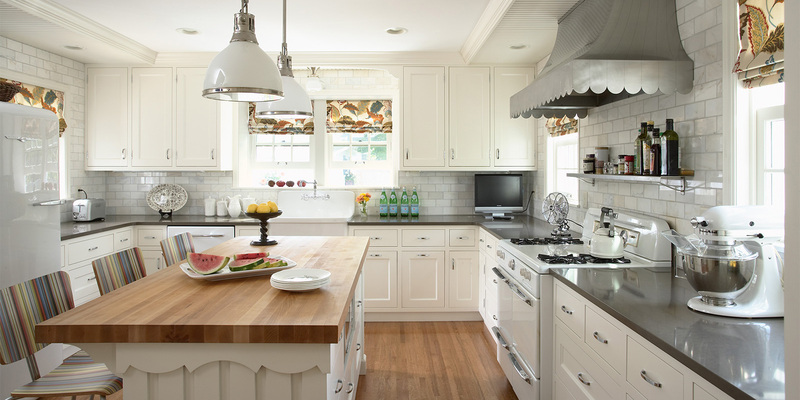 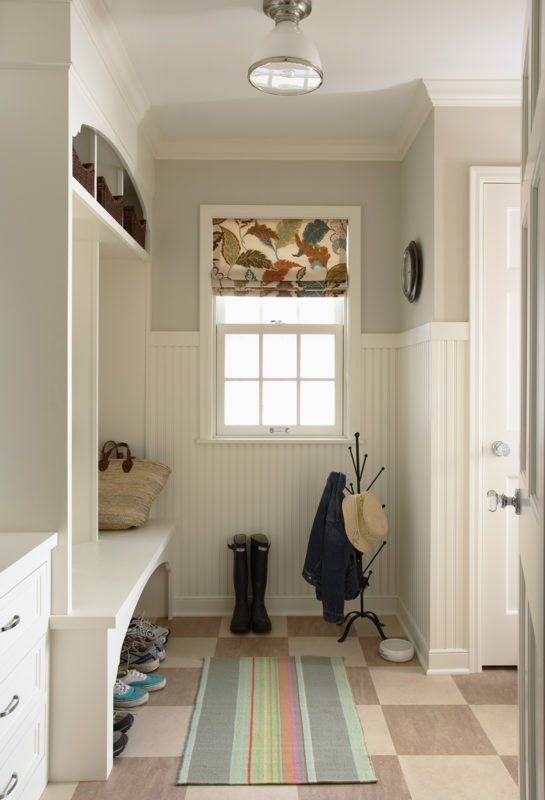 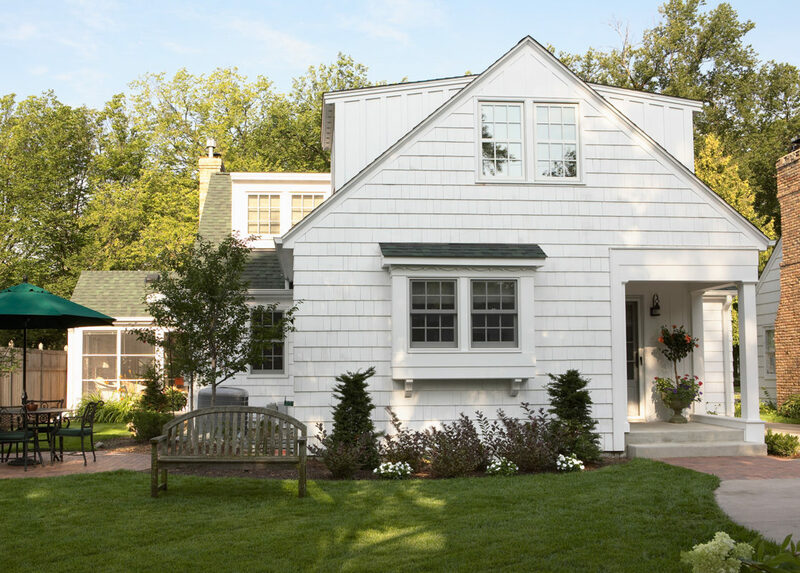 A story and a half addition solved classic old house issues, like a postage stamp sized kitchen and no mudroom, while keeping the charm and scale of the existing home intact. 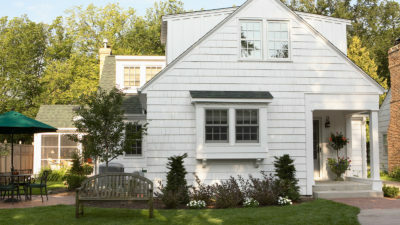 Shed dormers provide additional space and light to the three upstairs bedrooms while retaining the classic form of the cape. 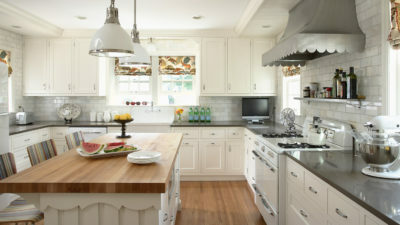 The kitchen ties seamlessly with the existing house and calls attention to some unique details that were already part of its character. 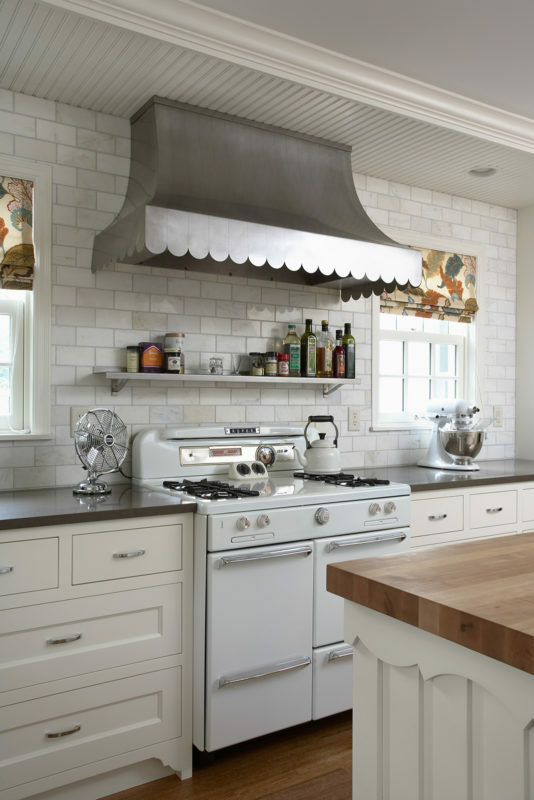 The owner’s beloved Roper range was given proper homage with a custom metal shelf and hood, making it the centerpiece of the room. 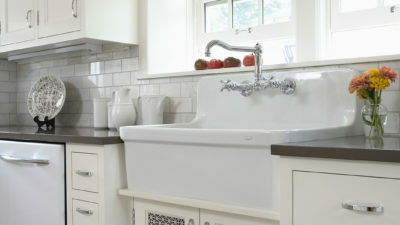 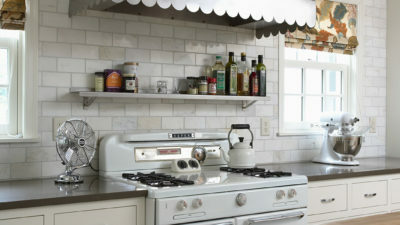 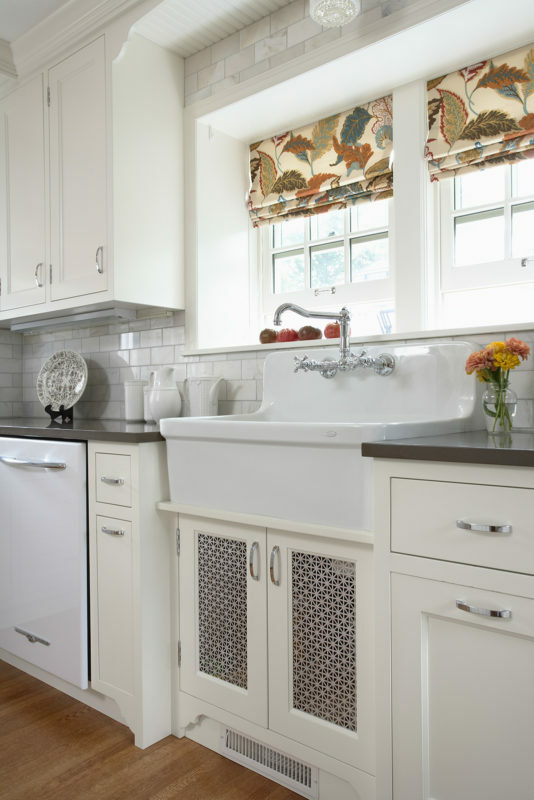 Retro styled appliances, hardware and a metal screen in the sink cabinet reinforce the vintage feel of the space. 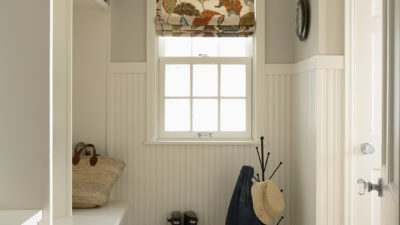 Scalloped trim details throughout the rest of the house were played up in the new cabinetry and millwork in order to bring the renovation together in a cohesive, playful and very functional space for a family of three.